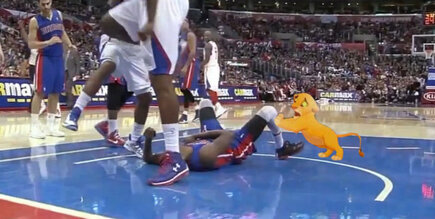 Tonight we lost Brandon Knight. 21 years old and forced to lace 'em up. Absolutely tragic, but honestly I see no other choice for him after this. Once you get dunk-slammed on, it's hard to really exist as a functioning person in society, let alone a basketball court.